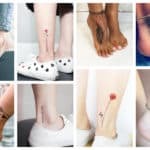 Have you always wanted to get a tattoo but you aren’t feeling ready to commit to it fully? Once you get a tattoo it’s forever, so this forever scares lots of people away. If you are not feeling like getting one on the long run, there is a solution for you as well, so don’t worry! The temporary tattoos are excellent if you want to have your skin tattooed for a while and then get rid of them when you get bored. 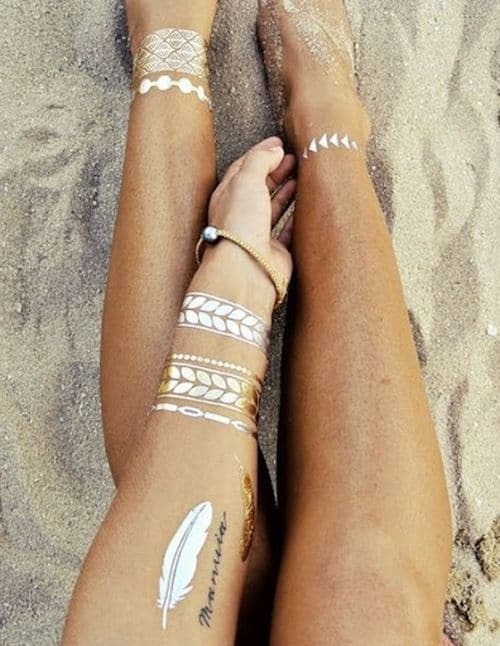 Summer is on its way here and we can already feel it, so now it’s the perfect season for the metallic tattoos. They are safe to wear and aren’t toxic at all, so they are totally safe to use. 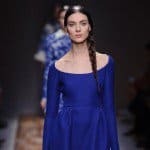 Their designs are dazzling and will make your summer outfits pop. 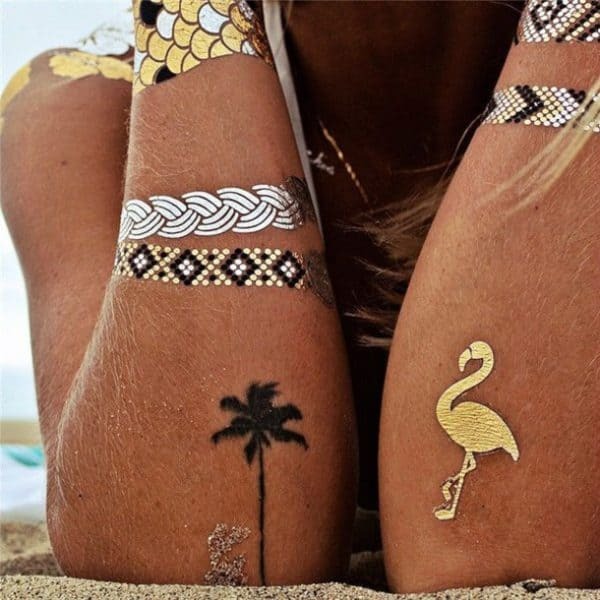 Scroll down through the photos below and see Temporary Metallic Tattoos That You Would Love To Get This Summer. They will last you for a couple of days and you can shower with them. After they fade away, feel free to stick another one. They come more than one in a package in so many different and playful designs, and you can make some great combinations. 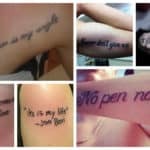 Check out the photos for inspiration and become a tattoo master yourselves! Experiment with these tattoos and apply them on any body part! They are temporary after all and they can be removed easily in case you don’t like them! 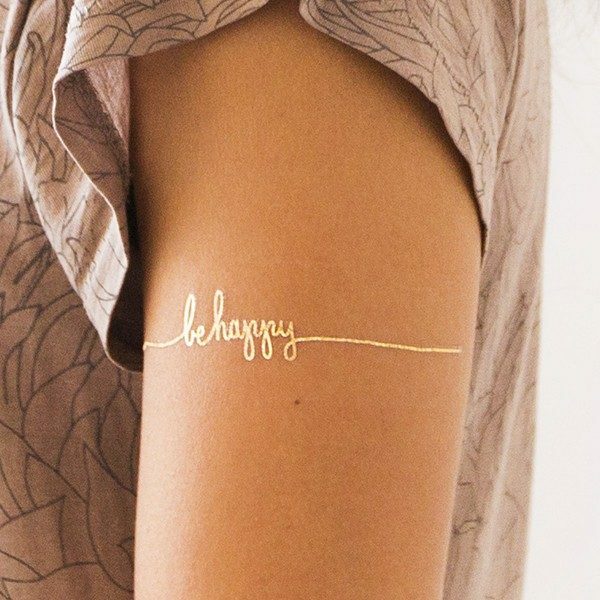 Get some scissors and cut out the desired tattoo. Then stick it on clean skin and smooth it out. Wait for a minute before you apply water on the paper. Wait for another minute or two and peel the paper away. Avoid bumping or touching the tattoo with anything for at least half an hour before it’s completely dry. 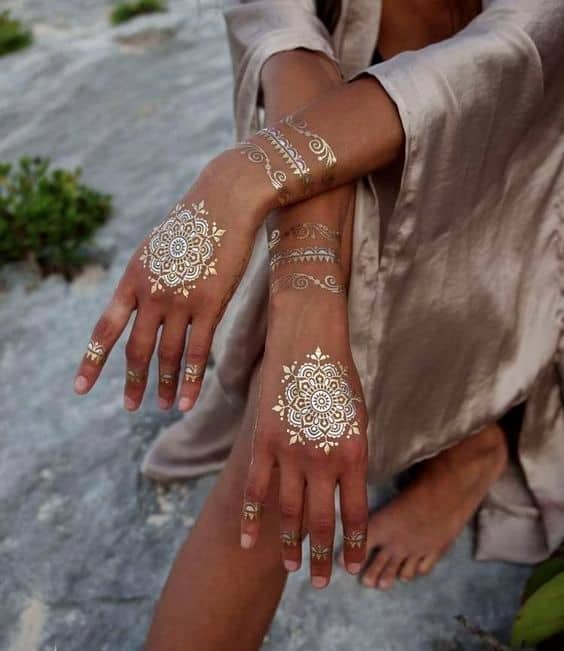 These metallic tattoos are a must for you if you are about to go on a vacation. They will complement your sun tan gorgeously and you will make some stunning summer photographs which you can enjoy all year round. 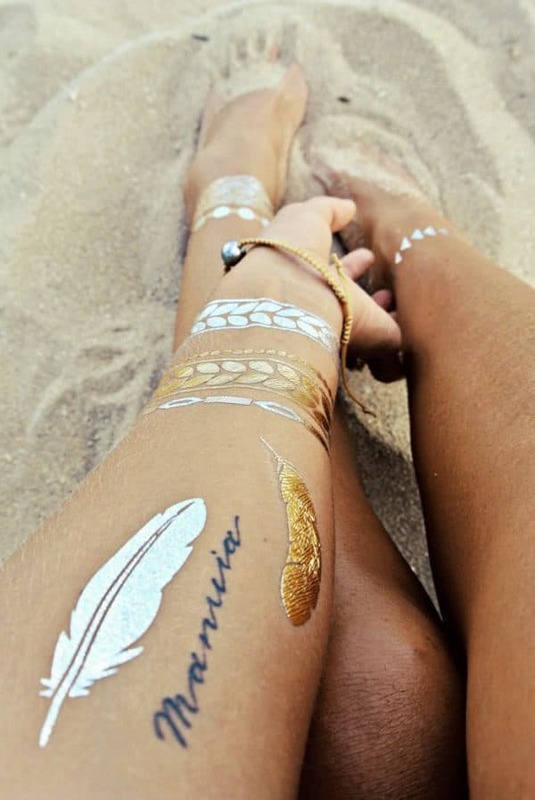 What do you say about combing both silver and gold tattoos? They will give you a playful look which is just perfect for the summer! Aren’t these tattoos totally stunning? I’m looking forward to getting some for myself this summer. What about you?